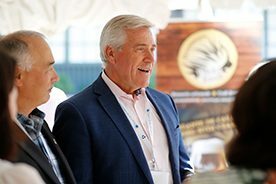 May 7, 2018 – Canadian Premiers, as well as governors from the United States and Mexico, wrapped up a successful Summit of North American Governors and Premiers in Scottsdale, Arizona on May 6. 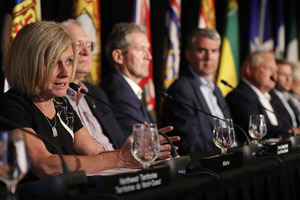 Alberta Premier Rachel Notley and Saskatchewan Premier Scott Moe represented Canada’s Premiers at the three-day Summit, which was jointly hosted by the Council of the Federation, the National Governors Association, and the National Conference of Governors of Mexico. 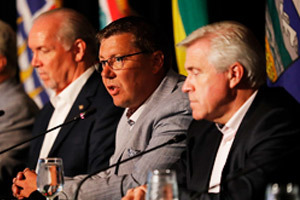 During the Summit, Premiers and Governors participated in business sessions on a wide range of topics, including the North American region’s role in a globalized economy, labour mobility and workforce development, and the creation of globally competitive supply chains through infrastructure investment. 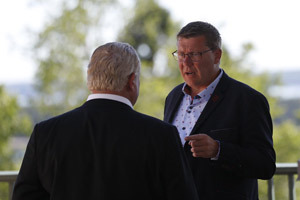 Premiers also had opportunities to meet privately with U.S. and Mexican Governors to discuss issues of importance to their respective provinces. Senior government officials from a number of other provinces also attended the Summit. The Council of the Federation comprises all 13 provincial and territorial Premiers. 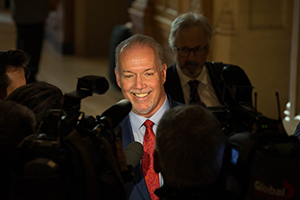 It enables Premiers to work collaboratively, form closer ties, foster constructive relationships among governments, and show leadership on important issues that matter to Canadians.